Stephanie cooked this afternoon a very nice cake. 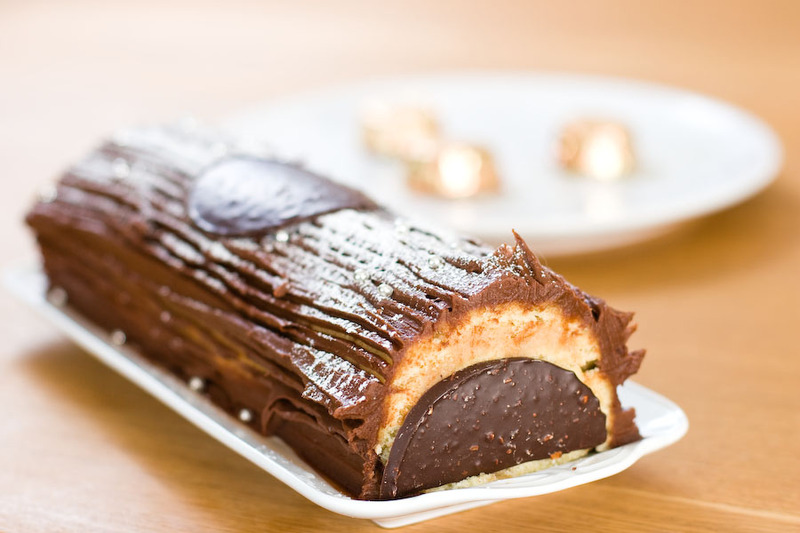 It is a typical french pastry for Christmas time. I took a few shots of it with a plate of wrapped cookies in the background.